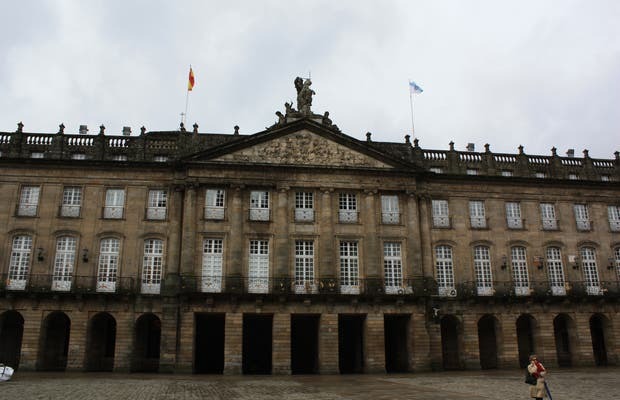 This is the current city hall for Santiago and the Galician Government, Rajoy Palace is on the east side of the Plaza del Obradoiro, just opposite the Cathedral. The horse statue on top of the building, representing Santiago Matamoros stands out. Whenever I've been in Santiago it's always been the first thing I've seen when in this square.